﻿ [1.0] Playable Settlers Mod & Scenario - Out in the Frontier! [1.0] Playable Settlers Mod & Scenario - Out in the Frontier! play as them with this small mod! Which also includes an scenario too! This simple mod allows you to play as four settlers which are similar to the three colonists. They start with Stonecutting, Complex clothing and Complex Furniture and can build a Passive Cooler too ( Only in the scenario. ). But they have to research electricity to build power in the colony, which means that you have to also research air conditioning, solar panels and batteries! This scenario can be seen as an easier version of the lost tribe with a bit of a mix of the crashlanded scenario rules. since they mostly wear cloth but sometimes they can wear hats and appear with one or more with your starting pawns. They are poor compared to the crashlanded colonists and the rich explorer, 2000 vs 800 vs 535 silver unless you sell some of the items including animals that you start with. Compared to the weapons to the crashlanded scenario. They start with a autopistol, a revolver and a steel knife which is much worse than the plasteel knife, they lack the flak pants, advanced plasteel helmet and they only come with an single flak vest in B19.The only saving grace is the pump shotgun which means you have to get close and use new tactics in early and in mid game. Feel free to butcher or sell the pigs and chickens in the scenario as they are not bonded to any of your settlers in the start. Settlers also have a chance to appear with hats as seen in the preview, and have an advantage of not being handicapped at the start from cyrosleep sickness in crashlanded or malnutrition or instantly hungry in the lost tribe scenario. The settlers were called villagers but i was against it and decided that they are called settlers to avoid confusion with outlander villagers and wanderers that just joined. Oh yeah i also wanted to throw this B19 version to the unstable. But alas, again i'm a lazy person like a sleepy sloth. V1.0 Google drive : Click Me! Steam: Click Me! B19 Google drive : Click Me! Steam: Click Me! B18 Google drive : Click Me! A17 Google drive : Click Me! If you have downloaded it from the google drive then please follow these steps. - Please locate the RimWorld Game Folder. - Unzip the contents and place them in your RimWorld/Mods folder or Steam/Steamaps/Common/RimWorld/Mods folder. - Enjoy playing the mod! If you have created a scenario with the mod then please before uninstalling or disabling the mod follow these steps. - Find any custom scenario that includes the faction "New Village Settlers"
- Delete the custom scenario(s) using the "New Village Settlers" or replace them with another player faction e.g "New Arrivals"
- Once you done that. You can now safely disable and uninstall the mod. - Please don't play any saves that used the playable settlers mod if you disabled or uninstalled it. Otherwise starting a new colony or playing the save without the mod you will get a giant box containing angry mahunting hungry exploding flying monkeys! V1.0 - Release for A17 and B18. -All starting clothes are all made of cloth. -Changed some dialogue and description including the starting dialogue for the settlers. -Tweaked the food & silver in the starting scenario. -Some other tiny things i forgot. Feel free to use this in your modpack and modify it for your personal needs if you like. If you found this mod interesting or you liked this mod. then check out my other mods! Tynan Sylvester and ludeon for creating this amazing game. Marnador for the RimWorld Fan made custom font. ZorbaTHut for xpath patch feature and Zhentar for the xpath tutorial, without it the mod would overwrite the research and clothing defs to make other mods incompatible. My family and my dogs and friends for keeping me happy and focused. I have cobbled together a similiar starting scenario once in a while and it is really a different kind of gameplay. On the other hand, I change the hunting rifle to a shotgun 90% of times, it is just the better allround start weapon. Moderator's edit (Calahan) - Removed the quote of a deleted post made by a would-be pirate. I too like the pump shotgun as a starting weapon. 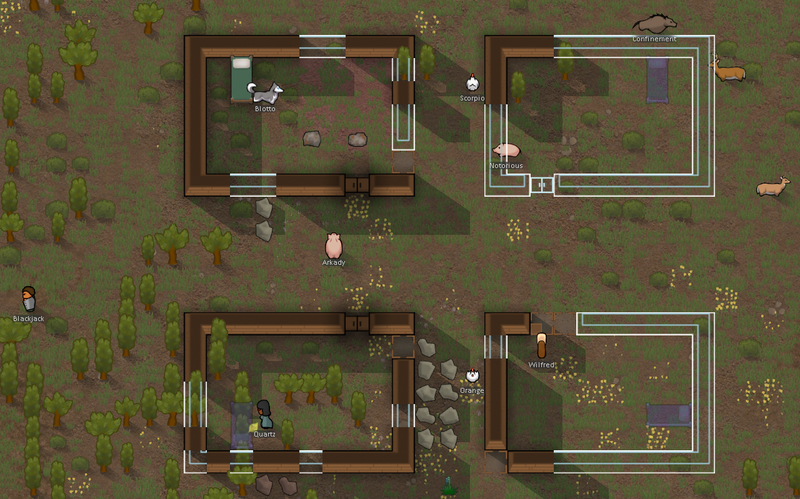 I find it a good weapon for hunting animals and elephants, to melee raids which can easily put down a raider with one or a few shots. I have fun playing with this mod and making it too. I have fun roleplaying a bit as them and making the quote when starting a new colony as them. In the A14 days of making this mod, they had started with a survival rifle and shotgun with two pistols. but i found out when playing them multiple times with this starting weapon combo is kinda OP. So i changed it with a shotgun with two pistols and a steel knife. Overall i found it fun making this mod even if it's just a minor mod but for some reason i always play them in every version from A15 To A17 because of the challenge that i imposed and made for myself and the others to play with. Since I fell in love with Rimsenal I always start as some kind of military outfit. Abandoned Scout Troop, Failed Mechanoid Attack or similiar. Always heavy on weapons and combat pawns, but low on other skills and starting ressources. Out of meds, out of food and no building materials ..
Howdy folks, of the rims. This is an message saying that this mod has been updated for B19!! Cheers! Great mod. 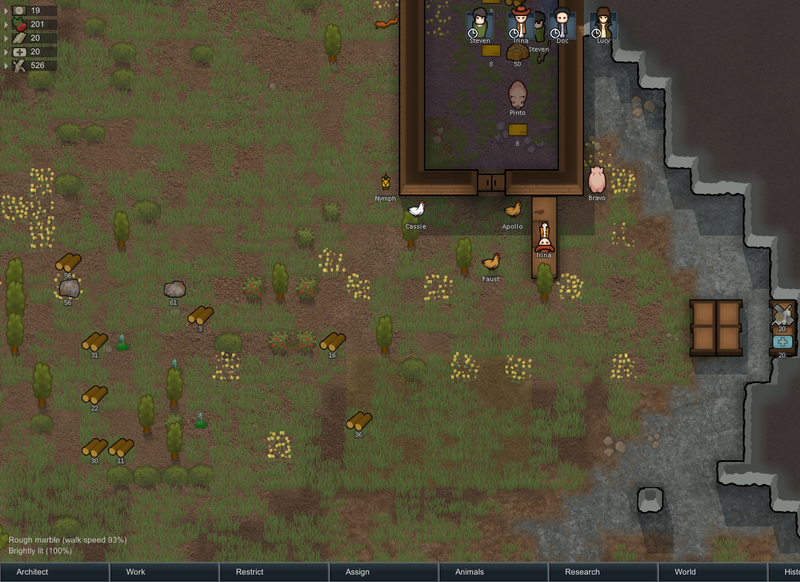 I love the idea of starting out as actual colonists and not crash survivors. Re: [1.0] Playable Settlers Mod & Scenario - Out in the Frontier! Playable Settlers is now for 1.0 Version!! ready for download!!! Nice! I look forward to trying this out. I've made custom scenarios before where I roleplay that my settlers have broken off from another faction to start their own, and this plays into that really well. I love the feature of the colonists starting with "normal" clothing instead of Hyperweave. I love this Scenario! It's pretty much all I play these days. Same here, this is a decent alternative when I am not planing THE NAKED TRIBAL MAN challange.